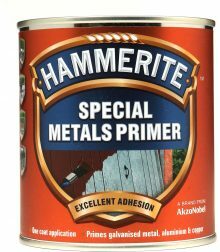 Hammerite Special Metals Primer is a water-based primer to promote adhesion to stainless steel and non-ferrous metals including galvanised, aluminium, chrome, brass and copper. Provides a smooth even finish for ideal topcoat adhesion. Only one coat required. Topcoat can be applied after 1-2 hours. Metal can be divided into ferro and non-ferro. Ferro metal contains iron, while non-ferro doesn’t contain iron. 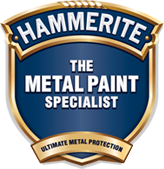 To avoid or clean rust, it is important to know which surface you are dealing with. All you have to do is use a magnet to determine if your surface is ferro or non-ferro. If the magnet is pulled towards the surface, it contains iron. Below you will find some information about different kinds of surfaces. The most pure form of iron is wrought iron. Therefore it is relatively resistant to rust. Nowadays wrought iron is not as often used as before. Gates are one of the few products that still contain wrought iron. Because cast iron contains more carbon than wrought iron it will crack more easily. Cast iron can be found in doorsteps, ornaments on gates and manhole covers. Because of the way it is fabricated, steel will rust more easily than other surfaces. It is mostly used in stairways, fences and bridges. 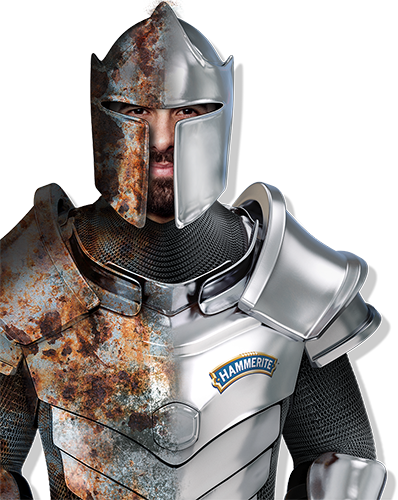 To keep steel from rusting, it is sometimes combined with another metal, like tin or zinc. If chrome or nickel are added to an alloy, we call it stainless steel. This is a way to prevent the metal from rusting. Sinks, countertops and cutlery are often made of stainless steel. Galvanised steel is steel with a layer of zinc or chrome, so it won’t rust easily. Think of car parts and bike parts. Zinc is a non-ferro metal which is better armed against rust than steel. For that reason, fences and stairs are often made of steel with a zinc layer. Pure zinc can be found on roofs and rain gutters. In coastal and industrial areas zinc is especially vulnerable to rust. Together with iron, aluminium is the most used metal. You can find it in everything from door handles to street lights. Write a review and help others decide. We will be very grateful. Got a question that hasn't been answered?